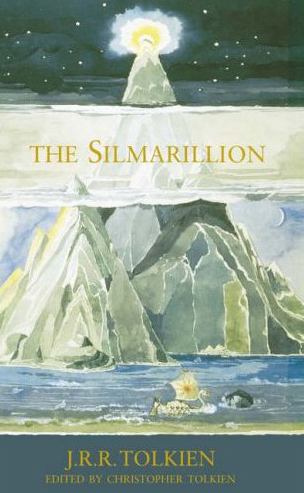 Now, I have decided to remake my way through The Silmarillion. I attempted to read it several years ago and got distracted with other things. Disappointed in myself for never quite finishing, I am giving it my full attention now as that is exactly what it requires. While some of the names and places are familiar, there is a prodigious number of new characters to keep track of, their families, and their relationships with one another. However, when you do give the story your full attention, it blossoms into something as wonderfully grand as The Lord of the Rings with battles and broken hearts, heroes and villains. I am thoroughly enjoying the ride. While I haven’t yet heard any specific foods mentioned in The Silmarillion thus far, I thought I would share some Hobbit-inspired treats that I created. 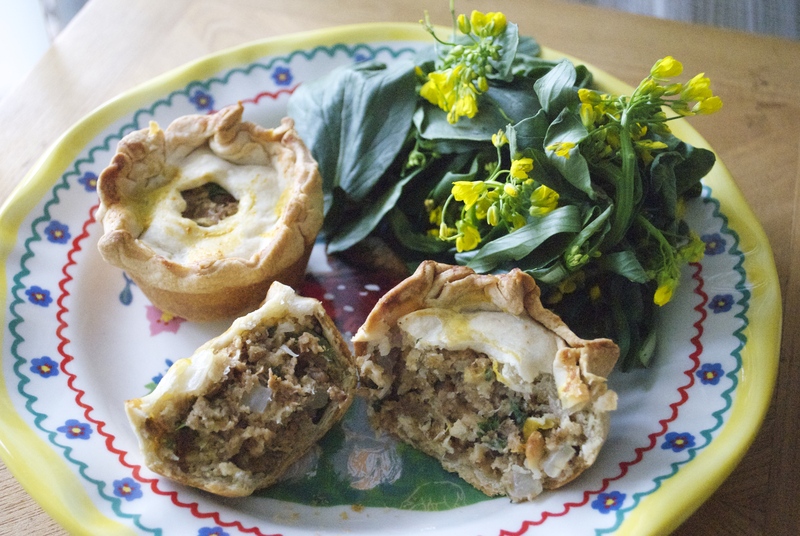 Taken directly from The Hobbit (the book), I previously made a vegan version of Bofur’s Mince Pies, a food that he requests directly after he and the other dwarves invade Bilbo at Bag End. Recipe here. In wanting to continue with that theme, I wanted to create the other foods specifically requested at the table. 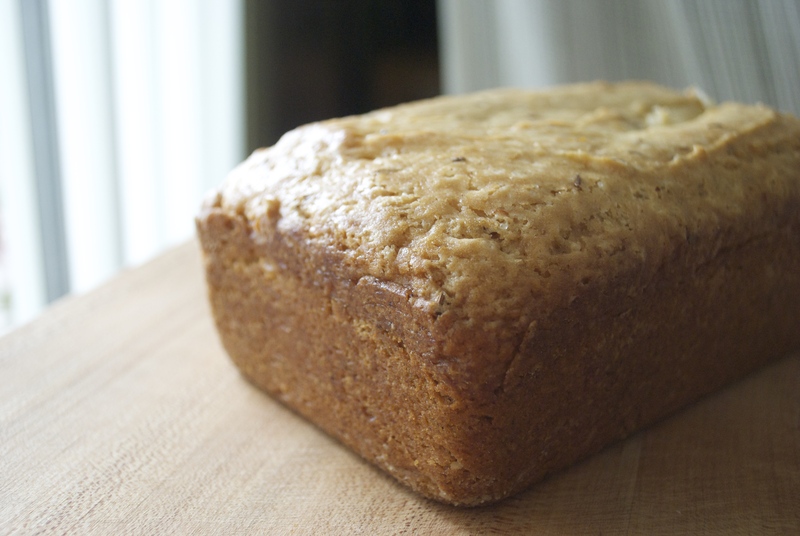 First there was Balin’s Seed Cake (he also requests beer, but more on that in another post.) 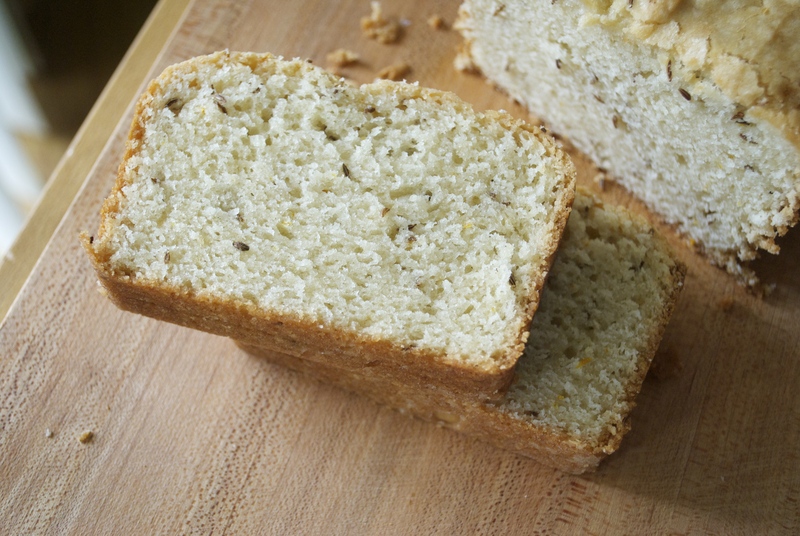 At first I thought this to mean something with poppy seeds, but after researching I found that it was more likely a pound cake with caraway seeds. That is exactly what I made. 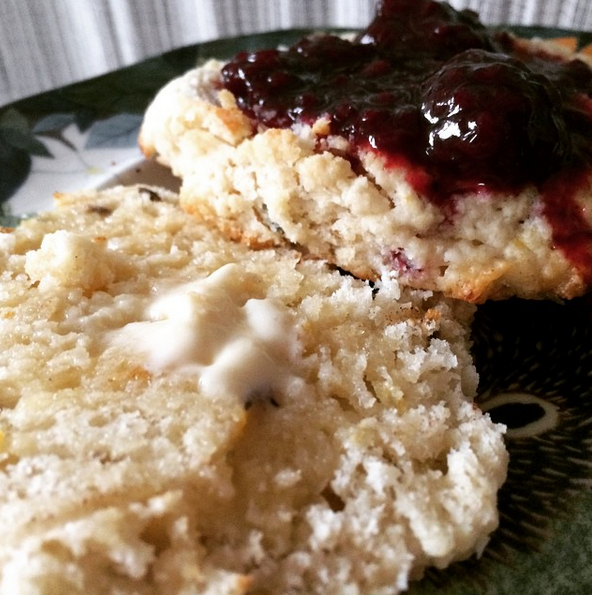 Next, there is a round of “buttered scones”. My version were Lavender-Lemon with homemade blackberry jam. Then it was Bifur, who requested a Raspberry Jam and Apple Tart. I don’t know if he meant together or separately, but I combined them. 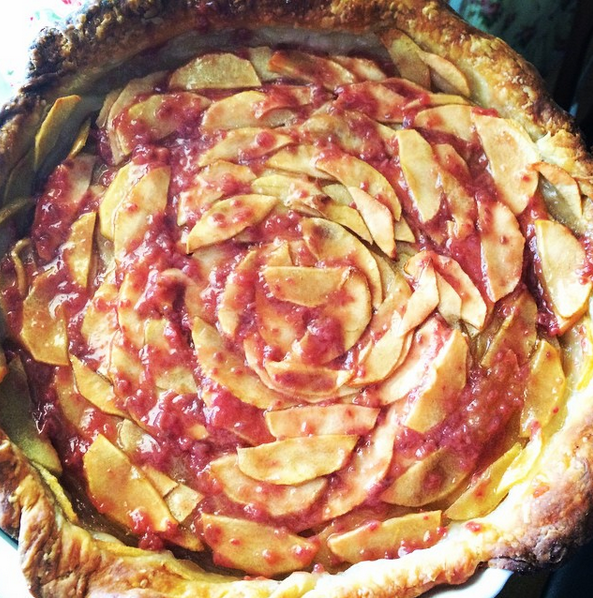 A french style Apple Tart, glazed in Homemade Raspberry Jam. And then there was Bombur. His request was for Pork Pie and Green Salad. I purposely left out the jelly, which is traditional of a pork pie and the proper English way, but I just didn’t like the thought. I’m an American, so I chose to do it my way 😉 If you’d like to add vegan jelly to these, it would be easy to create with vegetable broth and agar powder. I am providing the recipe for the filling. 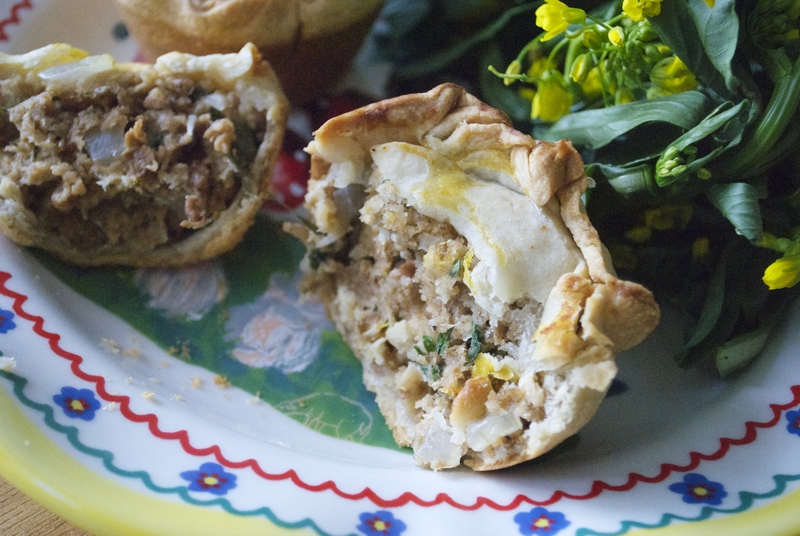 Use your favorite savory pastry dough, homemade or store bought will both work. 2 pie crusts, or pastry dough equivalent to two crusts. If you’re using store bought, most come in packs of two. Last I checked, Immaculate Baking Co and Pillsbury were/are both vegan. Always make sure to read labels though, as ingredients can and do change sometimes. Method: Preheat oven to 375°F. If using fake meats, just put them in a medium to large mixing bowl. If you’re using tempeh or tofu, chop finely or mince and give it a quick sauté with some oil (start with 1-2 tbsp) and the suggested flavors above. Add to your mixing bowl once finished and cooled. Add the remaining ingredients and really give it a good mix–your clean hands will make the best tools here. 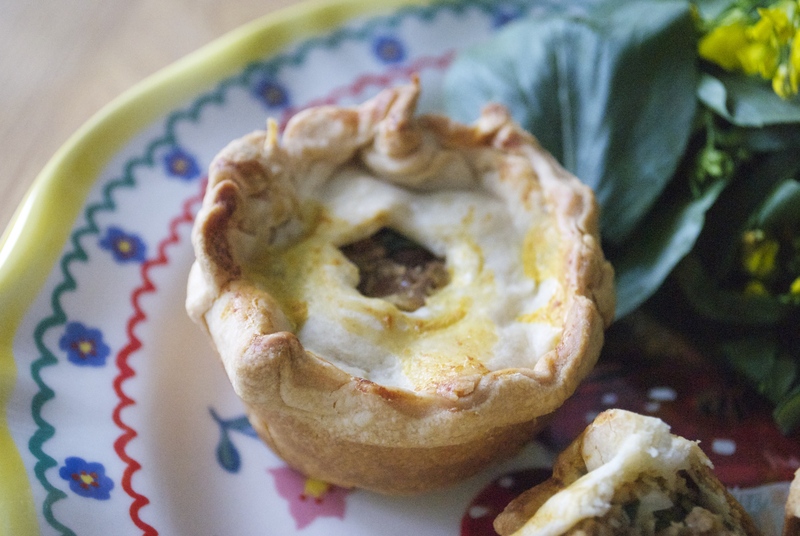 When you’re ready to create the pies, grease a 12 cup muffin tin. Roll out your chilled pastry and line each crater with a bit of crust with a bit extra hanging over the sides. You’ll want to save some for the tops, so keep that in mind. Fill each cup with filling. You can fill them just under level or close to level. Once all your cups are filled, take your remaining pastry and cut some circles for the tops. If you have biscuit cutters, check the size and see if they’ll do. That’s what I used and it worked great. If you don’t have biscuit cutters, see if you have a drinking glass of appropriate size by turning it upside down over the cups on the muffin tin. Jar lids can work here too–just check for size. You can cut your tops to size or they can be slightly smaller because you’ll use the overhanging dough to seal them. Before placing the tops on, poke a hole in the center of them. Place the tops on the filled muffin cups and pinch to seal. Use plain, unsweetened, non-dairy milk to seal or make a vegan egg wash using The Vegg (that’s what I used). Bake for about 25-30 min, giving a peak to see if they are browning. The crusts will begin to turn golden when they are done. I served these with a green salad of flowering broccoli and a vegan ranch dressing. It as a delicious meal. ← Quick and Easy Vegan S’Mores Ice Box Cake. Awesome looking Hobbit eats! 🙂 The Lord of the Rings is the best. I was just reading the other day an article about Tolkien’s fascination with the Finnish language and how it influenced his writing.